Yesterday we remembered the four officers who lost their lives in 2015, at the 40th Annual California Peace Officers' Memorial Ceremony in Sacramento, California. The Master of Ceremonies was Attorney General Kamala D. Harris and included guest speakers such as Chief Justice Tani Cantil-Sakauye, Governor Jerry Brown and Chief Diane Urban from the Hayward Police Department. The ceremony paid tribute to the four officers listed below and was attended by their surviving family and loved ones. For those who were unable to attend, a video of the tribute can be found here. From the staff at Cal Chiefs; our continued thoughts and prayers are with the families and agencies, we wish them all our best. Michael Jeremiah Johnson (“Mike”) was born on December 4, 1976. At the time he was born, Mike’s dad, Daniel Johnson, was a military police officer in the army stationed at Herlong, California. 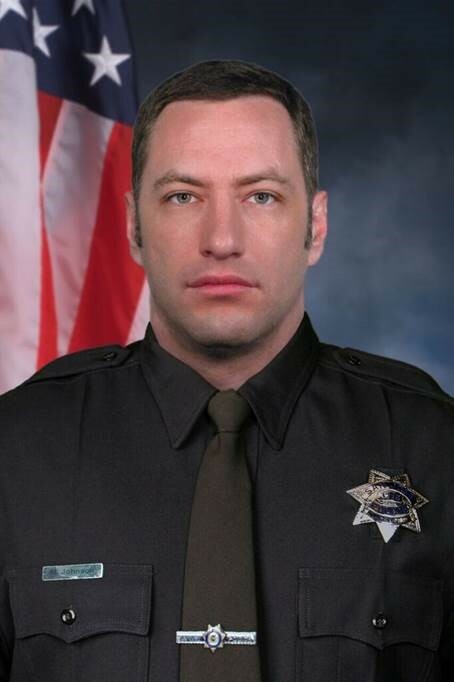 In 2001, Mike joined the San Jose Police Academy and graduated on June 15, 2001. 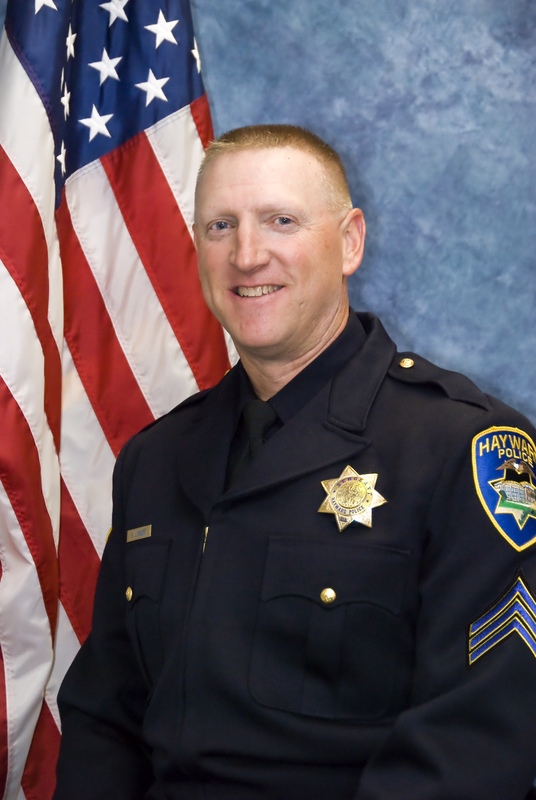 During his time with the San Jose Police Department, Mike worked as a Patrolman, Court Liaison, and Prescription Drug Fraud Specialist. At the time of his death, Mike had recently been promoted to Field Training Officer and assigned to the Covert Response Unit. Mike was a member of the Specialist Rifle program and was an expert marksman. Mike proved his expert marksmanship skills each year when he and his father would compete together at the US Police and Fire Games. Mike and his wife, Nicole (“Nikki”), were married in a civil ceremony on August 3, 2013. They were planning a formal wedding ceremony and reception for August 29, 2015 in Santa Cruz. Mike is survived by his wife Nikki, his parents Daniel Johnson and Katherine Decker, his step-parents Dann Decker and Penny Johnson, his grandmother Frances Guillemin, his sister Jamie Radack, his brother-in-law Steve Radack, his niece Ami Radack, his nephew Eli Radack, his mother and father-in-law Susan and Antonio Chavez, his sister and brother-in-law Gina and Jameson Stiehr, and brother-in-law Danny Chavez. 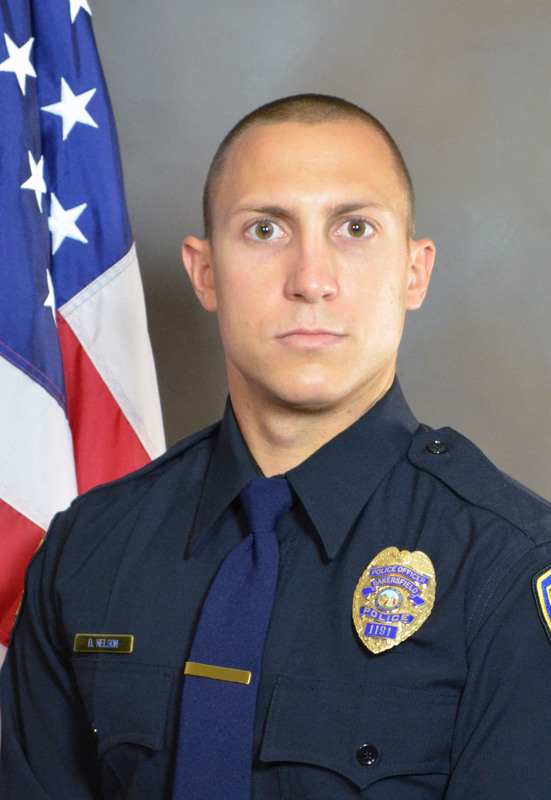 On Friday, June 26th, 2015 the Bakersfield Police Department lost a brother officer. Officer David Nelson, a two year veteran, was tragically killed in an automobile accident while pursuing a suspect who had failed to yield to his lights and sirens. He is survived by his parents, Larry and Mary Nelson, and his brothers Erik and Michael Nelson. It has been a very difficult time for Officer Nelson’s family, the Bakersfield Police Department and the community of Bakersfield since that day. He attended Occidental College and eventually took an internship at the United States Department of Treasury. After sitting behind a desk for six months, David decided to pursue a career in policing. He was a tremendous athlete who did not want to be relegated to a job that kept him indoors. Officer Nelson applied with the Bakersfield Police Department and two other California law enforcement agencies. David had all of the characteristics and traits law enforcement agencies look for in their officers. When it came down to making a decision, David chose the Bakersfield Police Department. David was an outstanding officer who loved serving our city and embraced it wholeheartedly. He immersed himself in his work and community. In two short years he had already become an arrest control instructor and was very excited that he had just finished the Field Training Officer course. David also took the opportunity to participate in charitable events such as “Shop with a Cop” and the Ultimate First Responder Physical Fitness Challenge. David was sworn in on June 24th, 2013. He selflessly served the City of Bakersfield until the end of his watch, June 26th, 2015. Scott Paul Lunger was born March 13, 1967 in Hayward, California. He graduated from Dublin High School in 1985. After high school, Scott attended Diablo Valley College and Chico State, where he played football. He entered the IBEW Local 595 Electrical apprenticeship and worked his way up to General Foreman. Scott changed careers and was hired by the Contra Costa County Sheriff's Department and graduated with the 109th Alameda County Sheriff's Department Academy Class in 2000. He started working for the Hayward Police Department in May of 2001 where he found his true calling. Scott worked as a beat cop as well as serving on various specialty units such as the special duty unit, gang task force, SWAT, he was a Field Training Officer, was promoted to Sergeant and was an acting Lieutenant in recent months. Scott was an avid A's and Packers fan and enjoyed attending games with his girls. It was all about the green and gold for Scott, except for when he was wearing his blues. He enjoyed coaching his daughter's softball teams when they were young, and was an assistant coach for the Freedom High School girls' softball team as well as volunteer coaching at several other local schools. Fishing, snow skiing, playing Cowboy in Idaho with his brother in law Lance, and playing golf with his brother Mike and his nephew Tate, were also things Scott enjoyed immensely. Scott is survived by his daughters, Ashton and Saralyn. Bryce was a graduate from the San Bernardino Sheriff’s Academy Class 151 in June 2003. In an effort to spend the most amount of time with his family, Bryce chose to work on the graveyard shift his entire career. During that time he found an investigation that he was not only good at, but that he really enjoyed and that was locating and recovering stolen vehicles. Bryce received many GTA Predator awards from SANCATT, VC 10851 awards, as well as citizen letters and commendations for his investigative skills in many types of felony arrests. With his calm demeanor and modest way, Bryce was a mentor and leader for other officers on graveyard. Bryce was not only dedicated to the department while on duty but he also had several citizen’s letters thanking him for volunteering with school programs, and he volunteered his personal time as a support unit for the San Bernardino Police Department Baker to Vegas running team. Comments on "Remembering the fallen"